Explore the Turkish countryside on this full-day tour. Depart from your hotel in an air-conditioned minivan and make your way to the Taurus Moutnains, where you will visit the villages of Avasun and Urunlu. 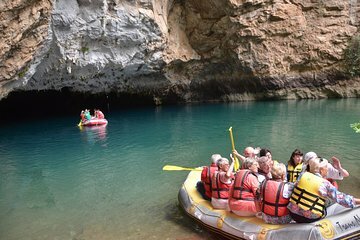 In the company of a guide, take a boat trip on a subterranean lake. Visit the village of Ormana and enjoy a local lunch. Stop at an abandoned village with an Ottoman-era mosque.